At 7:05 pm last night, Thursday 28 September, a warm Indian Summer evening, I was waiting outside for my wife to come out of a chemist near the corner with First Avenue, NW10 when a swarm of 30 or more youths on bikes and tens more on foot raced west along Harrow Road. The horde were shouting and appeared to be pusuing some others either at the front of the swarm or anyway going that way. That is how it seemed to me. They were waving sticks and bottles. Some bottles smashed on the road right in front of me. There was heavy traffic both ways on the road. I heard a series of pops that I couldn't locate but that sounded like gunshots, perhaps, I'm not sure. 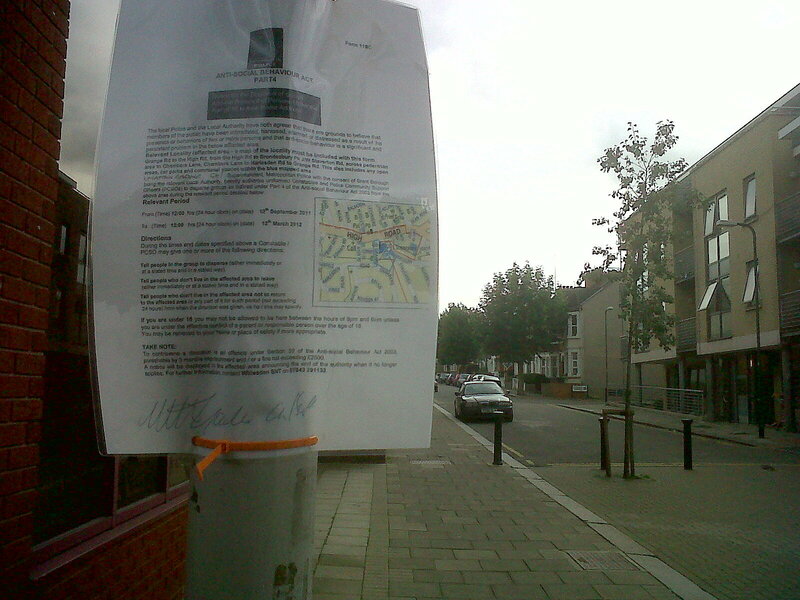 I typed "Gang chaos on Harrow Road" into my BlackBerry and posted it to Twitter. Was this a riot situation? It occurred to me that I might be shot, together with others, such as the staff who came to the door of the chemist to see what was happening but there was not much we could do. I said "It's very dangerous here." But we were phlegmatic. Earlier I had noted "Little poncy pipsqueak with huge Rottweiler on a chain swaggers down the street amusing little toddlers but scaring their parents for them." I now believe it might have been a very large pitbull, having searched for images. No muzzle of course. On reflection, that was a harbinger of the depredations to follow, injecting a pleasant evening with a tincture of hell. As we were going back west towards Third Avenue on our way to where we'd parked our car in Droop Street, I saw a lot of youths (some bikes, the same ones?) and two police beside the footbridge over the canal. They seemed to be looking into the canal. There were youths in twos and threes buzzing in and around side roads on bikes or just standing and thinking which way to go. I was thinking it might be the start of a riot like the recent ones and I was just keen to get us out of there, having seen on television how muggers had taken advantage of that sort of chaos. Like everyone, I have since heard that there was a shooting nearby "about 7 pm" on the Mozart estate. That's just up the end of First and Second Avenue. According to Willesden and Brent Times the shooting was about 7 pm. More details have emerged as you can see from the Telegraph report. Three girls were hit by a shotgun blast, including one girl holding a baby. time enough to unpack later. 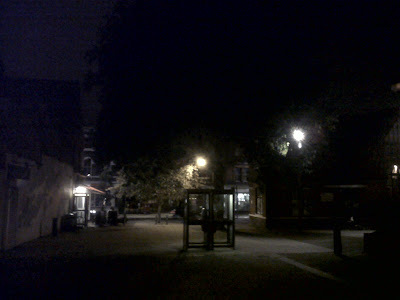 But after dark awoke perhaps, jet-lagged. with the bed beside a different wall. so we were there for the duration. It was warm at first, then a bit too hot. That's the trouble with these places. it's bucketing down. Let's have a lie-in -. Huh, something just crawled over my face. Shut up, it's only a hare. Yes, that'll be because we're in the northern hemisphere. What the hell is that? Ugh, ugh, ugh! playing poohsticks and washing in a rainbarrel. the clouds parted and fell quiet. at the end of every road. 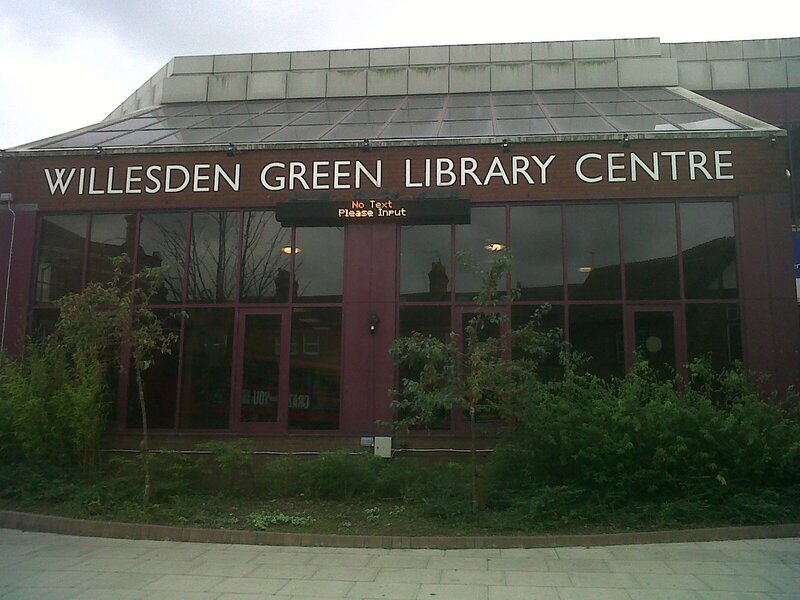 "We are pressing on with plans to redevelop Willesden Green Library Centre and regenerate Willesden High Road." Those two projects are completely unrelated. 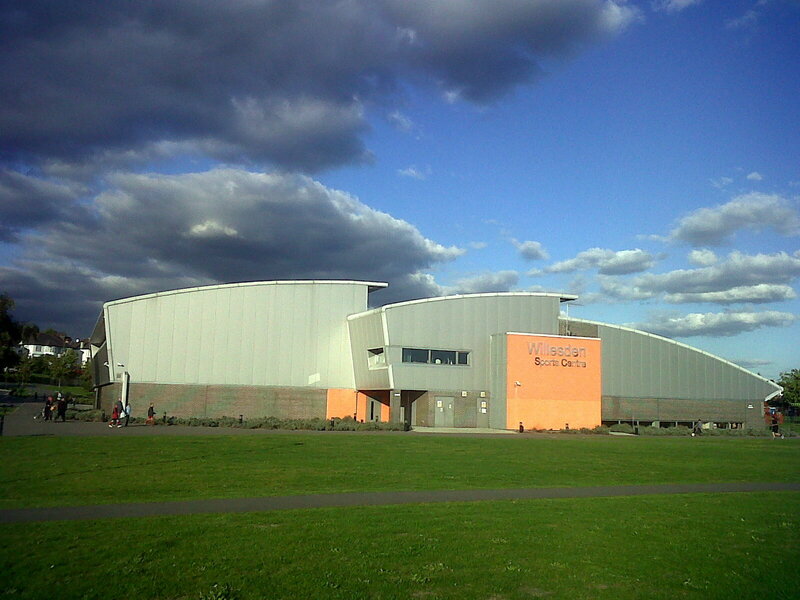 The latter comprises the spending of £500,000 disbursed by the mayor of London. The former is a planned project to demolish the library centre and put up a new building funded by donating the car park to some preferred builder. In the past few years, over £600,000 has been spent refurbishing the library centre, including money from the Heritage Lottery fund and the cost of moving the Brent Museum out of another juicy location for builder deals to its present home. Brent borough council swallowed up the historic Willesden borough council which stretched out as far as Harlesden where the "Wilesdune" ancient pilgrimage site and "black madonna" are. I moved to a house not far from the library centre nearly twenty years ago and the former occupant corrected me then as to the name of the area, when I made the same mistake. Why didn't they do it right first time, if the present building is so terrible? Actually it seems a very good facility complete with car park. They have been systematically running it down, letting it fall into dereliction and (revealingly) making it extremely inconvenient and hazardous to use the car park. We will want to see complete detailed records for all staffing, fees, and expenses involved in this new project. I want to know if any councillors are receiving any benefits in kind or any consultancy or other perks from the preferred builders. Have they got relatives there? They should know that if there is any corruption it will be found and they will be on their way to our other local (not very modern) community centre that goes by the historic name of Wormwood Scrubs. Publish "Willesden Herald: New Short Stories 6"
We simplified the title of this project from "Pretend Genius publ. Willesden Herald New Short Stories series", which I have to admit was a little obscure, to 'Publish Willesden Herald: New Short Stories 6". Thanks to all who have backed us so far and please send links to anyone you think might be interested in becoming an angel (for that status is within our mortal power to confer, though sadly not the winged variety) and anyone who wants to encourage talented new writers. Kitchen Poet has one of our staff working for them. This is just not acceptable. Oh wait, he's only a contractor, that's alright. Can you delete this please, Feargal. I really shouldn’t be doing this. After all, I’m a writer with literary pretensions. I have standards. And yet, here I am, on the blog for the Willesden Herald, home of one of the UK’s most literary short story competitions (one, incidentally, in which I have a record of consistent failure), with the sole intention of promoting a book called “Mrs Darcy versus the Aliens”. In my defence I could point out that Salt will be publishing a book of my literary short stories next year, but that would be evading the issue. No, today is all about Mrs Darcy. Why on earth should I feel uncomfortable about this? After all, there are precedents. One of my favourite writers, Boris Vian, who gave the world the sublime “Froth on the Daydream”, saw no contradiction in producing a pulp crime novel with the compelling title (and I kid you not) “I Spit on Your Grave”. I’ve read it and it is every bit as classy as that title suggests. In later life, incidentally, Vian changed tack completely and became a singer-songwriter, ending up writing the first French rock’n’roll songs. So says Wikipedia, so it must be true. There aren’t many precedents. At least, not many that established writers are likely to own up to – although someone’s got to be writing all those anonymous volumes of erotica. It’s kind of a shame. It would, I think, be nice to read an elvish fantasy epic by Martin Amis, for example, just to see if he could. Or some Margaret Atwood chick-lit. Ah, the hell with it. I’m not apologising. I’m not even suggesting you regard the book as some kind of “guilty pleasure”, for there are fewer more dishonest phrases in the English language (come on: either you like it or you don’t, simple). It’s a book called Mrs Darcy versus the Aliens, it’s a comic sci-fi sequel to “Pride and Prejudice” and you’ll enjoy reading it. Trust me on this. Great cover, too, isn’t it? 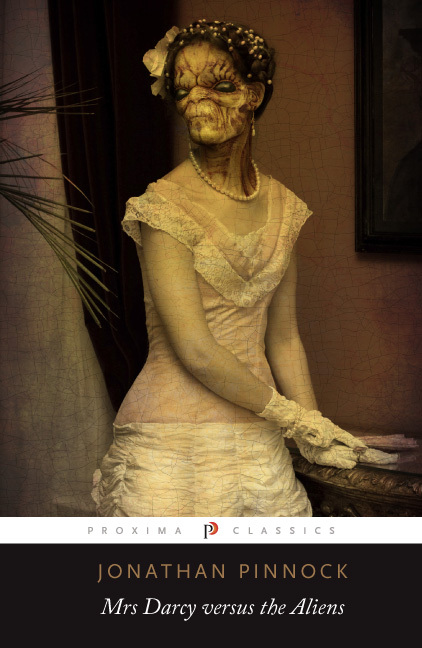 Mrs Darcy versus the Aliens (Proxima, 2011) is currently on promotion in WHSmith in the UK and available from all good booksellers, online and off. "I helped publish New Short Stories 6"
A new reward added to the two earlier ones on offer for backers of this publishing project. The target is $2,000 and there are 15 days left. The thing about Kickstarter is nothing is paid unless the target amount is met or exceeded. It's that time of year when I have to think of a rousing metaphor and end up reusing the same one from last time. So yes, get ready to go up the mountain and rope your best wild story, throw a couple of buckets of water over it, curry comb if you must, oh go on give him (her?) an apple, but don't spoil it. Now lead it into town for the annual gala, where Roddy Doyle will be on hand to award a rosette to the finest beast. I'm looking forward to reading what has been in your minds this year and making the short list.